Former IG Group chief executive and current Scotgold chairman Nat le Roux has bought a personal stake in renewable biomass business Terravesta. Le Roux has invested £2 million in the business, reflecting the growing importance of clean energy, and the positive prospects for the rapidly-developing Miscanthus bio-economy. The investment will see the business grow its operations, allowing for more Miscanthus planting to meet increasing demand and fund further research and development into producing new seed-based varieties and building robust markets for the crop. “The investment will bolster Miscanthus markets and pave the way for innovations which are being successfully field- trialled. Over the next few years a proportion of farmers will be able to plant Miscanthus from seed as well as rhizome and currently numerous future markets for Miscanthus are opening up, which include biodegradable plastics, packaging, furniture, high value chemicals, pharmaceuticals and hundreds of other uses, through the process of bio-refining,” says Alex Robinson, operations manager for Terravesta. According to Robinson, Miscanthus is a crop which is grown on marginal land, it’s carbon negative, meaning it absorbs more carbon than it releases through harvest and transport, it boosts soil health, encourages biodiversity and 350,0001 hectares in Britain is suitable to grow it without any detriment to food supply. 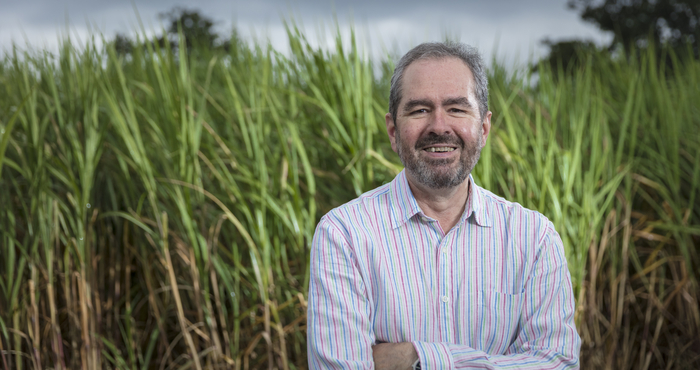 Commenting on his acquisition of a significant minority stake in Terravesta, le Roux maintains that Miscanthus will become a major part of the energy mix and will contribute to mitigating climate change on a global scale.